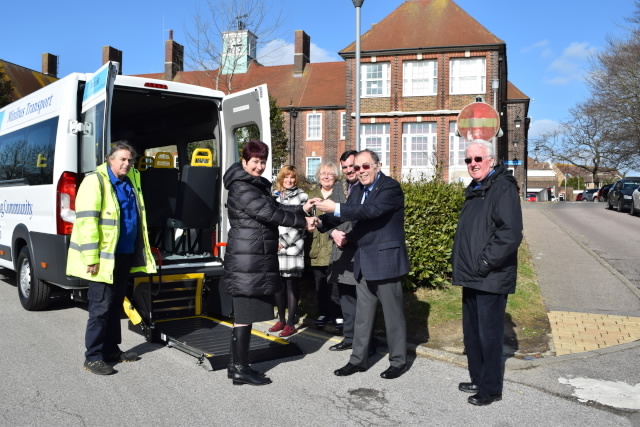 THE keys of a £43,000 new wheelchair-accessible 14-seater mini-bus have been handed over in a ceremony in front of Bexhill Hospital. The mini-bus, complete with powered tail-lift for wheelchairs and sign-written “League of Friends, assisting with transport for the community,” has been purchased by the League. It will remain in League ownership but will be operated by fellow local charity Bexhill Caring Community as part of its three-vehicle Dial-A-Ride fleet. Among the services provided by Dial-A-Ride is patient transport to the hospital. Town Mayor Cllr Simon Elford was guest of honour at the Thursday, March 2nd ceremony. League chairman Cllr Stuart Earl is also chairman of Bexhill Caring Community. League treasurer Chris Ashford is also BCC treasurer. Both officers had declared an interest and left the room before the rest of the league's general committee unanimously decided last year to fund the purchase of the vehicle and go into partnership with BCC. The Caring Community was represented at the photo-call by manager Jacquie Haggerty and colleagues Monique Southgate and Angela Van Aalst together with Terry Clarke, one of seven BCC drivers. The League was also represented by its President, John Dowling and by committee members Audrey Kerr, Harriet Chapman, Pearl Easton and Peter Stiles. Presenting the BCC manager with the keys to the mini-bus, Cllr Earl said: “Everybody here will appreciate that this is a 'first'. 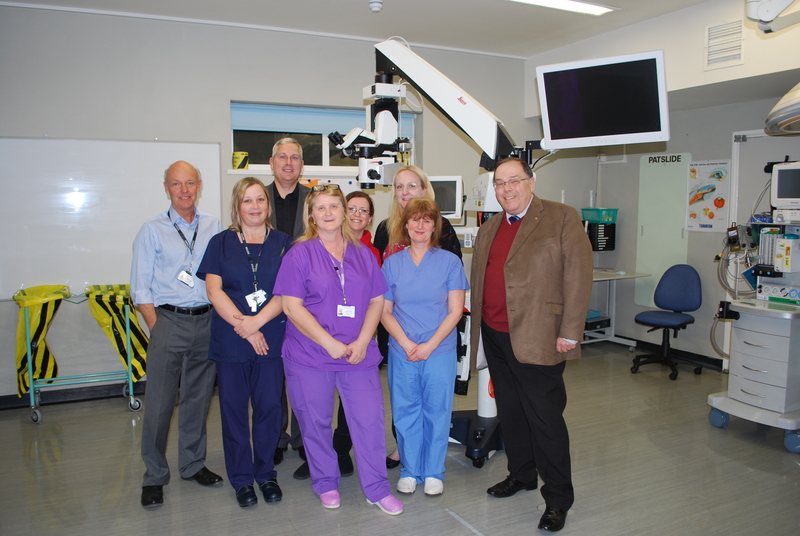 This is something where two charities which serve our community here in Bexhill have worked together to provide something which will benefit so many people. Jacquie Haggerty said: “We are extremely grateful for this wonderful mini-bus. It will make a splendid addition to our charity and we look forward to welcoming people on it.” The mini-bus went into service the following day. It is planned to have the Dial-A-Ride buses available to transport supporters to and from the Hospital Garden Party on Saturday, June 10. *To make use of the Dial-A-Ride service ring BCC on 01424 215116.